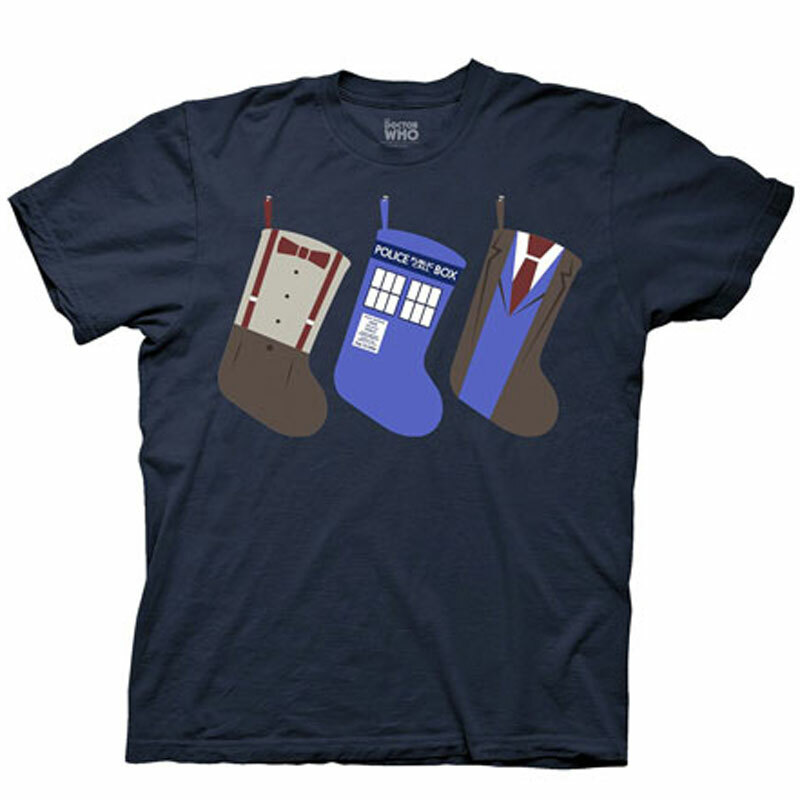 This super cool Holiday T-Shirt features Christmas Stockings with Tardis print, the 10th Doctor's suit print, and the 11th Doctor's outfit print. Sorry Santa, everyone will hope the Doctor's bringing them something good this Christmas. I hear all the naughty kids get Daleks. Feature: - 100% cotton. Navy blue. Adult mens fit.